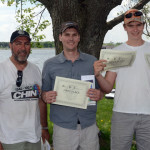 I must say it felt pretty good to win our first tournament – the check and prize for big fish didn’t hurt either. Owen and I had a great day today catching 15 pike in total. Owen was crushing them all day on the new Rapala Ghost Shiner Shadow Rap. My day started slower casting a Livingston Lure square bill crankbait. This lure was working well on our pre-fish day the week before but was not working today. I think the change in weather played a role here, it was overcast during our pre-fish and quite sunny today. When I switched to a Rapala Tennessee Shad Husky Jerk bait I finally started adding to our fish count. Fish were mostly shallow in 2 to 6 feet, with a few caught over deeper water 8-12 feet. Water was clear with 6-7 feet of visibility in the morning and clouding up a bit as the day (and increased boat traffic) went on. Water temperatures started at 62 F and rose to 66 F during the day. 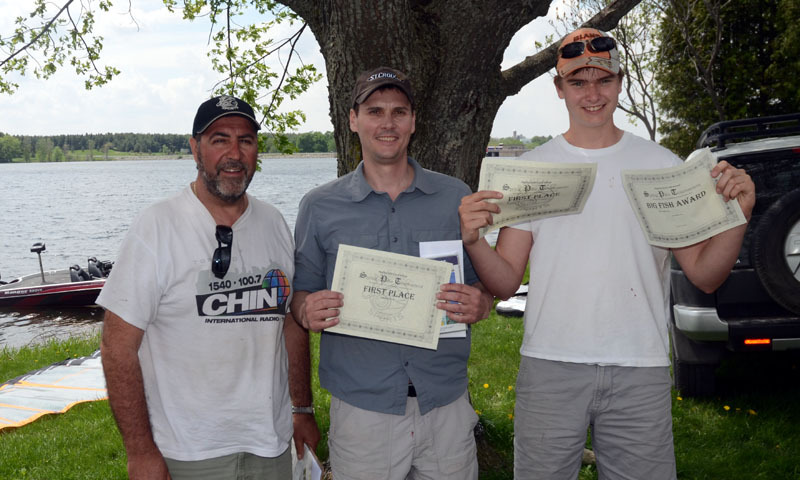 Final total length for three fish – 82.5 inches, 6 inches better than second place. 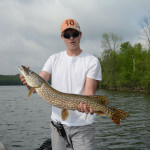 Owen also caught big fish at 30.5 inches. 18 Teams in all at Wildwood Lake, Ontario. 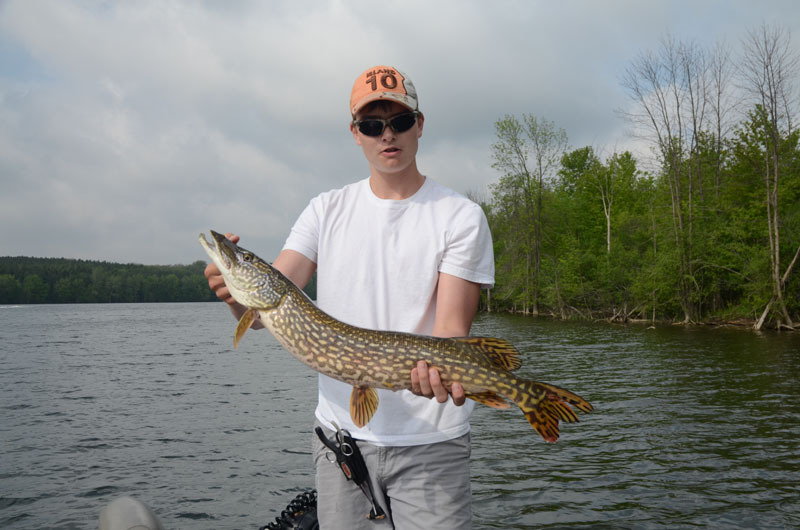 Northern Pike, Tournament, Trip Report.